While Marvel's movies focus on the larger-than-life adventures of characters like Iron Man, Captain America and the Guardians of the Galaxy, next year the Marvel Cinematic Universe will take a look at the street-level exploits of its superheroes over at Netflix. The first show to kick things off is Daredevil, which follows the adventures of a blind superhero who uses his enhanced senses to fight crime in Hell’s Kitchen. This show has been highly anticipated, and since the character’s last live-action outing didn’t go as well as expected, this will be a great opportunity to get non-comic book readers interested in the guy who takes on danger without really seeing it…because he’s blind. There’s a reason he is nicknamed The Man Without Fear. Thanks to a slew of new information that has been revealed over many months, there are plenty of details to get you excited, whether you are fans of ol’ Hornhead or just a person looking forward to exploring another side of the MCU. Here’s what we know so far. Daredevil will be released on Netflix on Friday, April 10, 2015, one month before The Avengers: Age of Ultron comes out in theaters. Rather than follow the traditional TV format of releasing one episode a week, Netflix will post all 13 one-hour episodes at once to encourage binge-watching. This especially works for Daredevil, as the show’s first season has been as “one big movie.” Regardless, if you want to pace yourself and watch one episode at a time or just dive right into the whole series on a lazy Sunday, you’ll be covered either way. The Cabin in the Woods director Drew Goddard, who is executive producing the series, wrote and directed the pilot, while show runner Steve DeKnight wrote and directed the final episode. 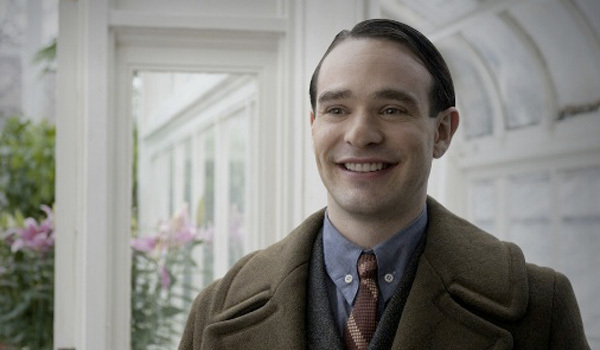 The show follows the dual life of New York City lawyer Matthew Murdock, played by Boardwalk Empire alum Charlie Cox. Blinded as a boy, he discovered that not only were his remaining four senses heightened to superhuman levels, but he also gained a radar sense, which allows him to perceive objects around him in a manner similar to echolocation. During the day he defends the law as an attorney, but at night, he puts on a costume and “breaks his oath” to fight the criminals of Hell’s Kitchen as the vigilante Daredevil. While Matt will start out wearing fighting bad guys wearing an all-black, ninja-like getup, he will eventually don his trademark red costume from the comics. There are many aspects from the Daredevil canon that will be drawn upon, including his father, Battlin’ Jack Murdock. In the comics, Matt was propelled to his life of vigilantism after the murder of his father. Jack, an aged boxer, was killed by gangsters after he refused to throw a match because Matt was in the audience. Using his enhanced senses, Matt took on the superhero identity and brought the criminals responsible for his father’s murder to justice. The show will also explore how Matt learned the fighting skills he uses against the Hell’s Kitchen underworld. Beyond a few early stills showing us Daredevil's costume, we haven't caught a ton of glimpses of the character and the show. However, In February, Netflix released the long-awaited teaser trailer for the series. 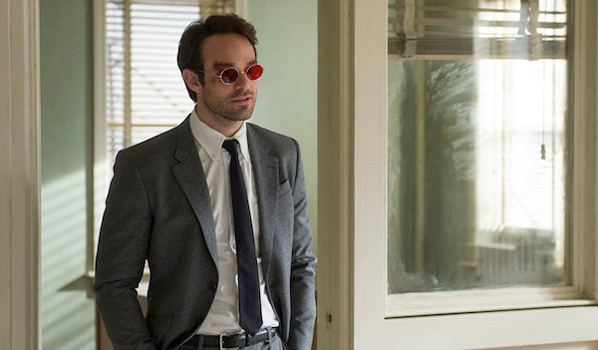 It's short, but at least it expands our ideas about the series and Matt Murdock (Charlie Cox) as a whole. 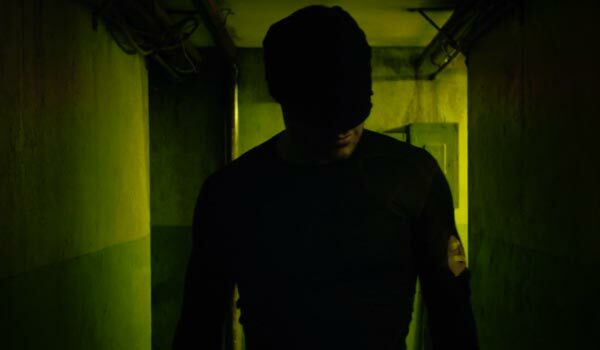 Shortly thereafter, Marvel and Netflix released the full trailer for Daredevil, a trailer which expands the world beyond Matt Murdock and his personality, also teasing out villains like Kingpin. Check it out, below. In April, following an online leak, Netflix and Marvel finally gave us our first look at Daredevil's famous red costume. 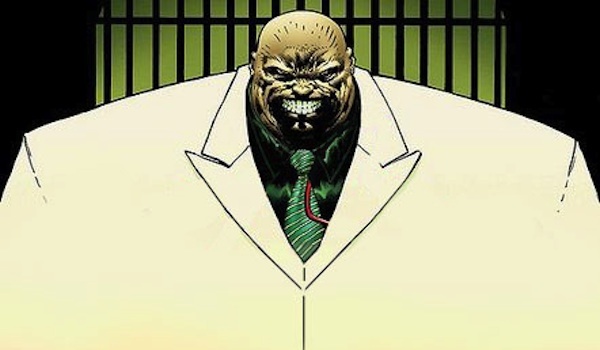 Daredevil’s main nemesis will be Wilson Fisk, a.k.a. The Kingpin, who DeKnight describes as the yin to Matt Murdock’s yang. Originally introduced as a Spider-Man villain in the comics, Fisk has cemented himself as one of The Man Without Fear’s greatest enemies. Played by Vincent D’Onofrio, the series will follow Fisk as he seeks business opportunities in Hell’s Kitchen, which will bring him into conflict with Matt Murdock and his alter-ego. Fisk’s primary attribute is his wide girth. What may look like fat is really all muscle, and while he’s not at superhuman strength levels, he’s strong enough to crush someone’s head with his bare hands. Combined with his superb intelligence, it’s no wonder he’s a successful businessman and criminal. Fisk will be aided by his right-hand man Wesley, played by Toby Leonard Moore, and the series will deeply explore how he falls in love with art gallery employee Vanessa Marianna, played by Ayelet Zurer from Man of Steel. 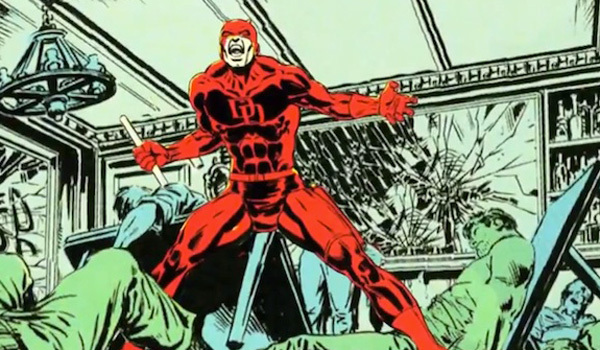 Daredevil will also feature Bob Gunton (who played Warden Norton in The Shawshank Redemption) as Leland Owlsley, better known in the comics as The Owl. Like Fisk, he is a crooked businessman with ties to criminal enterprises. It’s unknown whether the show will have Owlsley’s bird-like abilities from the comics, such as being able to glide short distances, but even without powers, his shrewd mind is enough to make him a worthy threat. The rest of the Daredevil cast includes a variety of faces from the comics. Elden Nelson, who you’ll see soon in The Hunger Games: Mockingjay Part 1, will play Franklin “Foggy” Nelson, Matt’s best friend and law partner. While Matt helps protect the law in his own unique ways, Foggy has dedicated his law career to helping out the community, which has earned him friends from a variety of places. Deborah Ann Woll from True Blood is playing Karen Page, whose “quest for justice” will find her crashing into Matt’s life. In the comics, Karen started out as Nelson & Murdock’s secretary and was Matt’s primary love interest for many years, so TV Karen may follow this path, although whether she also meets the same fate as comic book Karen is unclear. No spoilers here, so if you want to learn what happens to her, go browse the rest of the internet. Among the rest of the mainland recurring cast is Rosario Dawson as Claire Temple, a “nurse who works at night.” Vondie Curtis-Hall will recur as Ben Urich, a reporter for the New York Bulletin, Scott Glenn will appear as Stick, Matt’s blind martial arts instructor, and Peter Shinkoda has signed on as the mysterious Hachiro (at least, Marvel hasn’t disclosed any information about the character). 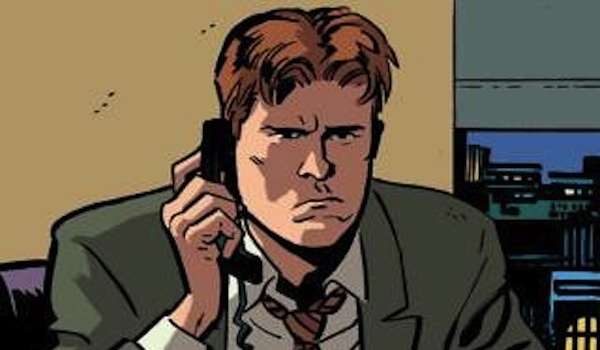 It’s likely there will be more casting announcements in the final months leading up to the series premiere, such as who will play Jack Murdock. What Will The Tone Be? 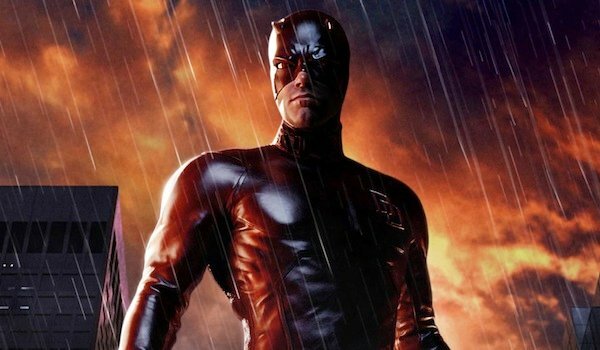 Marvel and its affiliates have repeatedly said that Daredevil will have a much different tone than the rest of the MCU, describing it as “dark” and a “gritty crime story.” Although Daredevil was more of a swashbuckling hero when he was introduced in 1964, since Frank Miller’s iconic run from the 1980s, Daredevil stories have primarily been dark and dreary. Mark Waid’s current run of the book has brought the character back to his lighter roots, but the TV series will be inspired by the darkness that consumed Matt Murdock’s life for many years. This darkness will especially factor into Matt’s dual identity. Despite taking an oath to uphold the law, he has become a vigilante to fight injustice in ways that the law can’t touch. As he continues on this crusade, it will grow tougher to resist his nighttime activities. Being able to take justice into his own hands is too appealing to him. Marvel has also released a few official images from the series, which should help fans to visualize the tone a bit more. DeKnight has gone on record stating that the series will be more violent than ABC’s Agent of S.H.I.E.L.D., but less than his previous series Spartacus. So expect more brutality than Marvel’s typical projects, but not paid cable levels. What Other Media Has The Character Appeared In? While Daredevil hasn’t gotten as much media exposure as heroes like Spider-Man or The Hulk, he has appeared in a few things here or there. Fans of the 1990s Spider-Man animated series may remember him helping Spidey out in two episodes. Daredevil’s first live-action appearance was in the 1989 TV film The Trial of The Incredible Hulk, which saw him wearing a black ninja outfit quite similar to the one that he’ll be wearing in the Netflix series (though don’t expect that to be his permanent costume). Of course, as with most superheroes, the majority of the public likely remembers the blind superhero from his 2003 film, where he was played by future Batman Ben Affleck. The film earned mixed reviews (although the director’s cut is considered by many to be a huge improvement), and Affleck has repeatedly mentioned his distaste for how the film turned out. You can also play as Daredevil in video games like Marvel: Ultimate Alliance & 2, Marvel Heroes and Lego Marvel Super Heroes. 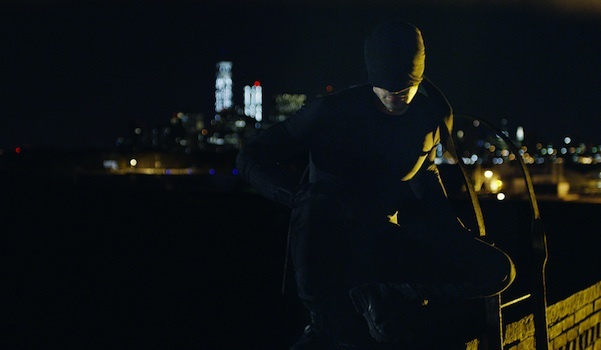 Currently there are no plans for a second season, although the creative team has already discussed ideas that could be explored for another season, such as having famed Daredevil villain Bullseye appear. Marvel and Netflix will probably wait for people’s reactions to the show once it’s released before any serious renewal discussions begin. However, Daredevil will return in the Defenders miniseries, which will feature him teaming up with fellow Marvel Netflix heroes Jessica Jones, Iron Fist and Luke Cage. Think of them as the street-level Avengers. In fact, don’t be surprised if we don’t hear any news regarding renewals for any of the Netflix shows until after their big team-up. As usual, Marvel has a plan, so we’ll have to wait and see which direction their Netflix ventures go.